With online privacy becoming more and more important, there are several excellent and completely free Google Chrome browser privacy extensions that you might not be aware of but that everyone should be using right now. These five extensions are the top 5 best Chrome privacy extensions for maximum internet privacy while browsing online. 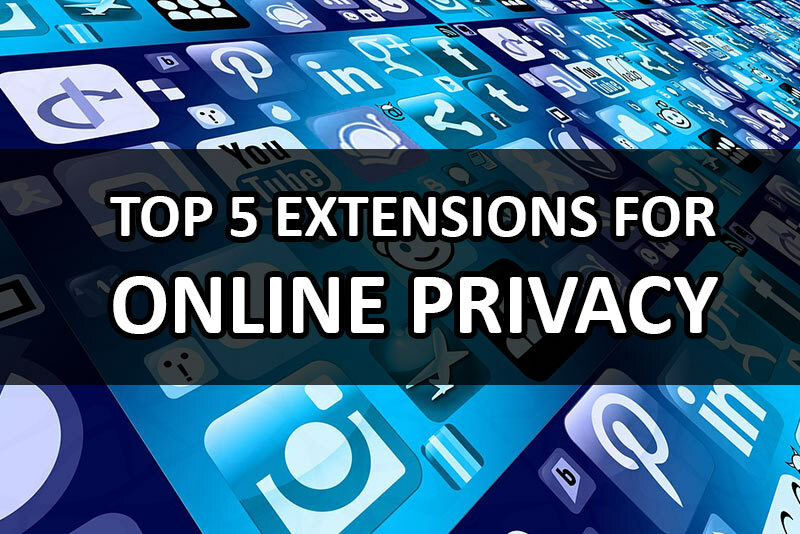 I am not associated in any way with any of these extensions; these are just my 5 favorite top privacy extensions that I think everyone should be using in order to maximize your web privacy. 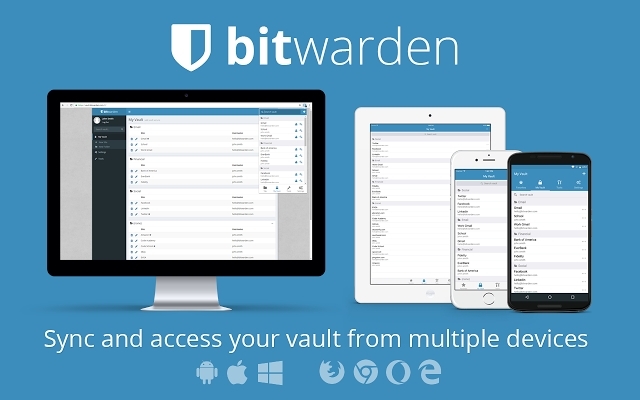 What's Awesome: Bitwarden privacy extension is a password manager that will let you keep your passwords more secure. Although it is not as full-featured as Lastpass, Lastpass has been degrading fast and bitwarden is more reliable and has a better system for user security. You can get the Chrome password privacy extension to bitwarden here: Bitwarden. What's Awesome: Every link you click in google is encrypted via a google tracking URL which redirects you quickly through Google so that Google can track every link you click. Most people aren't even aware this is happening because it happens very quickly. Google even tricked you by showing that URL at the bottom when you hover over it as the destination link, even though that is a lie, really the link is a Google link. The way to see what I am talking about is to search anything in Google, and the right-click any result instead of clicking it, and copy the link. You will now be able to view the Google tracking URL. Yes, Google has tracked every link you have ever clicked. Don't Track Me Google privacy extension for Chrome removes this Google tracking URL, as well as removing tracking from maps and other Google sites. This is excellent for privacy, I recommend to install it and forget about it, right click the button and choose "Hide in Menu" so it doesn't take any space in your extensions bar. Now Google can't track everything you do on Google. Also, make sure to not search Google from the same browser you are logged into, otherwise everything you search is permanently stored in your Google profile, forever. At least with Don't Track Me Google privacy extension we can bypass the secret link redirects. Also, since there is no more tracking URL, it will speed up web results, as well as allow you to directly copy links out of Google search. 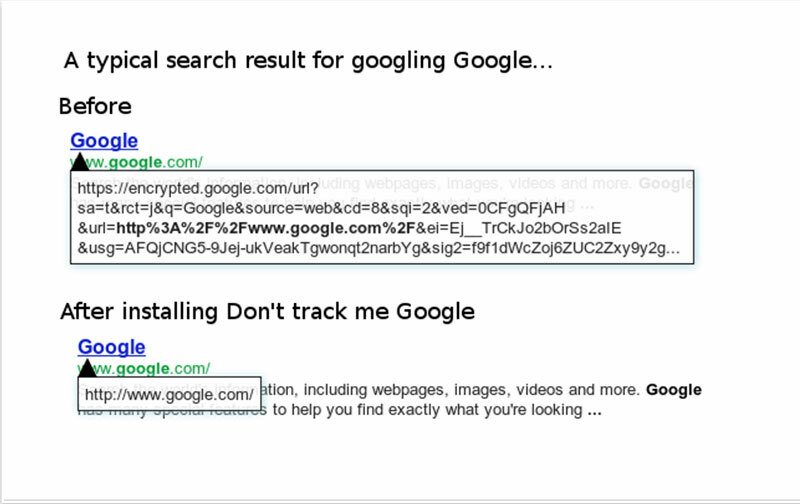 Check out the Chrome privacy extension to prevent Google from tracking your search history here: Don't Track Me Google. What's Awesome: Block Image is a different kind of privacy. I have tried lots of image blocking extensions but I like this one the best. It is simple and easy to use. Either it's on and all images in the whole browser are removed, or it's off and all images are visible. Block Image is great for a number of things, like when browsing social media and you don't want to be distracted by all the images, or to hide images on some unwanted sites. Youtube is a good place to use Block Image as well, because removing the images can remove clickbait and also keep you from staying on youtube for hours when you click on one video thumbnail after another. Obviously the only place you can't really use the Block Image extension is on image searches, but other than that it can really increase your productivity when doing work in which images are just a distraction. The functionality is limited, and there is no ability to whitelist sites; it is either all or none. However, that is fine because there really isn't any site I would want to blacklist from images, instead I just use it when I want a distraction-free internet experience. It is an easy toggle that makes things very simple. This excellent Chrome privacy extension for blocking images across the internet is here: Block Image. What's Awesome: The HTTPS Everywhere privacy extension for Chrome basically makes sure you are always using the encrypted, HTTPS version of websites when they are available. HTTPS is the encrypted, SSL version. 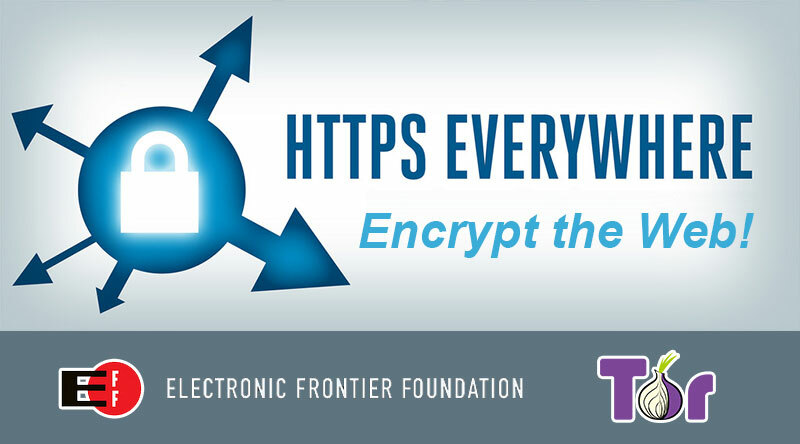 HTTPS Everywhere is a critical privacy extension to have. It is another one you can set and forget, you could even hide the button in the chrome menu to save space. This privacy extension for Chrome is officially released by The Tor Project and the Electronic Frontier Foundation, so you know there are strong companies behind protecting you. You should definitely be using the HTTPS Everywhere Chrome extension to protect your privacy online. You can get the official Chrome privacy extension for enhancing web SSL here: HTTPS Everywhere. What's Awesome: I was thrilled when I discovered the Location Guard privacy extension. I have been waiting for an extension like this for a long time, and finally there is one. Not only does it work excellently but it does not use any proxies like some of the other location privacy extensions. I find free web proxies to be unreliable at best, as well as slow, so really proxies are not a solution to the location problem. The problem is that Chrome exposes your IP address to websites, so that even when you hide your location or don't log in, any website can automatically track where you are. 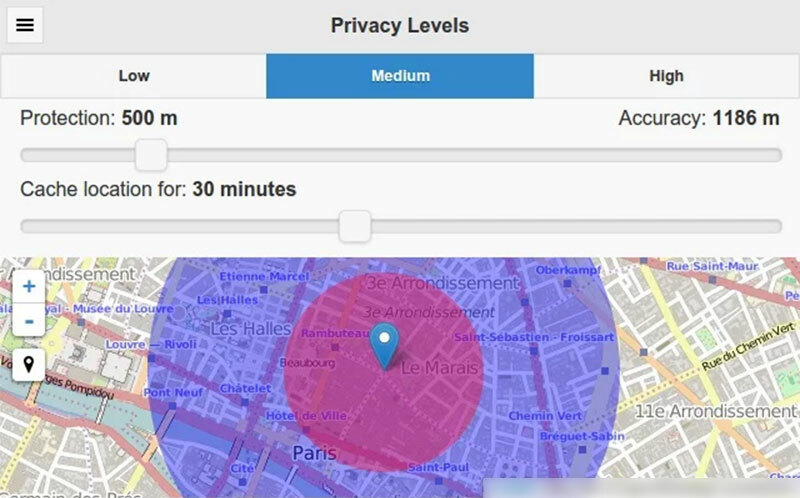 This is because your IP address, wifi connection, and other factors all reveal your location very precisely, sometimes up to a few meters of your physical location. This is very bad, so that is where the Location Guard privacy extension comes in. The old way to bypass this issue is to always use a high-quality VPN; of course, any VPN worth its salt is not free, and all VPNs by nature will be slower than your regular internet. You sacrifice speed for privacy. While a VPN is great to use for securing your privacy online, it is not a universal solution, because it will only help those who pay for it which means only a few percent of users will ever get this privacy through a VPN. However, with the Location Guard extension for Google Chrome, finally there is an awesome and fully working privacy extension that allows you to either obfuscate or confuse your location. The fail-safe way to test this is to open up Google Maps and see if it tracked your location. I was so happy when I opened up maps and it was way zoomed out so it couldn't see precisely where I was. Location Guard privacy extension also allows you to spoof your location to be anywhere, which is awesome for maximum privacy. You could say you are in the middle of the Pacific ocean if you want, and Google will think you are on a cruise. As a result of the privacy that Location Guard affords, this is my #1 favorite new extension for privacy in 2017. Here is this awesome Chrome privacy extension for protecting your location: Location Guard. I hope you liked this list and it helped you be safer on the internet with these five great privacy extensions. What is your favorite privacy extension for Chrome? VPN is the best option to keep your location hide and also provide full security. A VPN can be useful but as I mentioned, location guard is free and does not sacrifice your internet speed.